Include the content title, a link to the original content, the creator’s username, and the Creative Commons license (default: CC BY 4.0). Example: “Drag the Words Citation Test” by booksin is licensed under CC BY 4.0. Source: 1. H5P. Licensing. H5P. 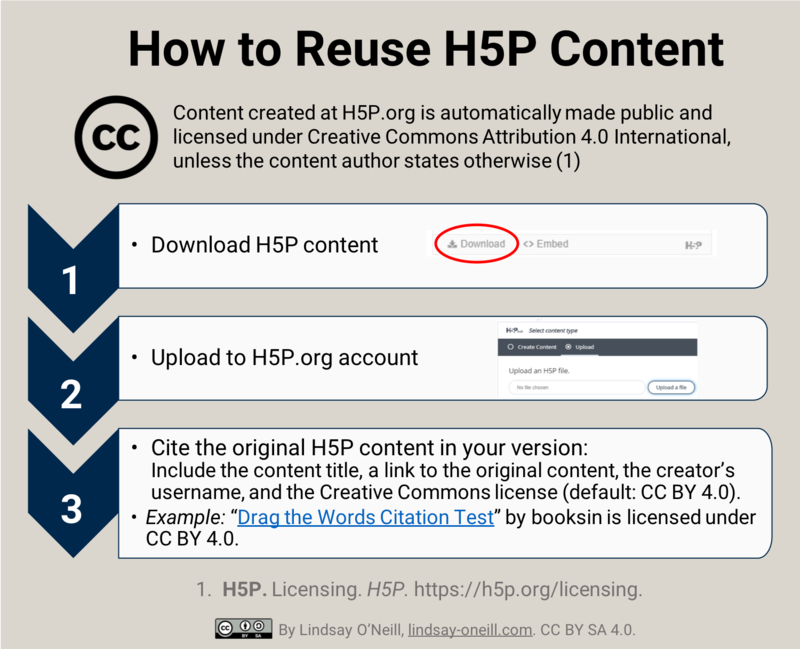 https://h5p.org/licensing.